Due to the forecast inclement weather, the ride has been moved to Easter Monday. Same start time (6am) and same route. On Good Friday, April 19, the annual Vice President’s Ride will take place. 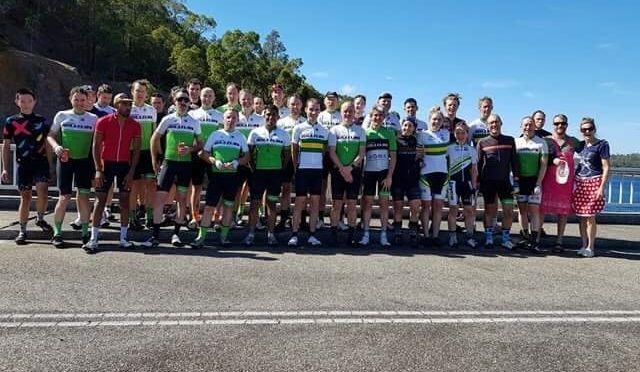 Starting at the carpark at 6 am (lights compulsory), we’ll head out along the old three dams course via Midland, then up Greenmount. There will be a route change this year, with road works along Great Eastern Highway. The plan is to turn right down Hardey Rd into Darlington, then go parallel to the highway up to Mundaring. There may also be another route change along Armadale Rd, again depending on road works. 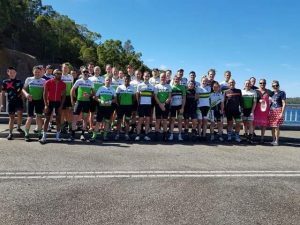 There will be SHORT regroups after each climb, as time is of the essence to make it to Wungong for the sumptuous morning tea and photo opportunity. The guest morning tea server, as always remains confidential, suffice it to say they have enjoyed a good deal of success both locally and nationally this year. As usual, dress code is national kit or mixed SPR kits. The usual prize of free coffee for the most number of different SPR kit pieces will be on offer. For those short on time, you’re welcome to join us for parts of the ride and the route will be confirmed on the weekend. First regroup at Park Rd/GEH Intersection in Darlington. Cross over into Hardey Rd and down to Thomas Rd. Left here, follow up to Mundaring to rejoin original course. After going through Armadale, well turn right into Ranford Rd and follow this right through until it becomes South Street. Continue along South St, cross freeway and right turn into Murdoch drv. Follow Murdoch and turn right onto Leach Hwy. from Leach, head to the usual Shelley Route left turn off at Bull Creek and follow right through the end. Cut through past the cafe and come out on Centenary Ave in Wilson. Continue up to Manning Rd, then follow the usual Friday route into Kent St, Hayman Tce, Douglas Ave, Mill Point Rd until we’re back at the carpark.